WinterBoard, the famed theming app for jailbroken iOS devices, is one of the primary reasons why many go ahead and apply a jailbreak in the first place. One can skin almost every aspect of the interface with consummate ease once WinterBoard is installed, adding a unique, custom look or choosing from many of the hundreds of pre-made themes available. Unfortunately, though, it hasn’t yet been updated for iOS 8 / 8.1 and iPhone 6 and iPhone 6 Plus, and as such, crashes a lot when installed. Until the official, remedial version bump arrives, there is a temporary solution; the details of which you can find below. WinterBoard is created by Jay Freeman, also known as Saurik, the mastermind behind Cydia itself. He and his team have put in a commendable amount of work to bring the jailbreak of iOS 8 up to scratch following the roll out of Pangu8, and with such preoccupation, has yet to get around to fixing WinterBoard. But while we know Saurik as the nucleus at the heart of every jailbreak we’ve ever had, the community is a workhorse in itself, and so it shouldn’t come as a surprise that one of our own reader has come up with a temporary fix for WinterBoard. 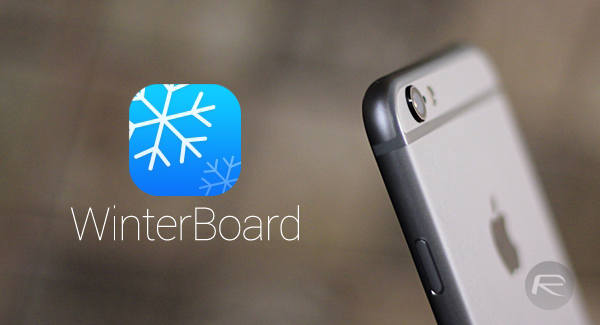 Once you have installed WinterBoard and subsequently been thrown into the oh-so familiar Safe Mode, all you need to do is fire up the WinterBoard app, disable SummerBoard Mode, and you should be good to go. This is only a quick fix, and there are no guarantees that you won’t still have problems, but if you can’t live without your themes, this is your best hope right now. WinterBoard hasn’t seen any attention since January now, and whilst we suppose that a significant update will be forthcoming, disabling SummerBoard Mode should tide you over for now, provided that you’re on iOS 8 / 8.1 of course, and are in the ownership of an iPhone 6 / 6 Plus. Give the fix a try and let us know as well if it fared well for you.